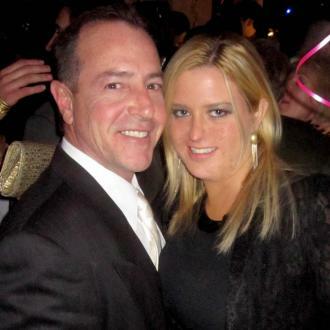 Michael Lohan has written a letter to President Trump's personal lawyer Michael Cohen calling for a change in how drug addicts are treated in the US. Michael Lohan wants heroin addicts and alcoholics in the US to be prescribed opiate-blocking drugs to help get them clean. The 56-year-old former Wall Street trader - the father of actress Lindsay Lohan - has battled cocaine abuse and alcoholism throughout his life but is currently a recovering addict and acts as a counsellor with the Long Island Teen Challenge rehabilitation program. Michael has now written a letter to President Trump's personal lawyer Michael Cohen questioning how heroin users are treated across America and has suggested that a new drug is introduced to aid rehabilitation for serious users and those whose lives are blighted by binge drinking. The letter, obtained by the New York Post newspaper, reads: ''This epidemic is threatening our country far worse than the threat posed by Muslims trying to enter this country. As well as Lindsay, Michael has three other children, Michael Jr, Ali and Dakota, with his ex-wife Dina, and two sons, Landon and Logan, with his second spouse Kate Major.